If you are looking for a pickup truck that doesn’t guzzle gas—but still gives you the capabilities you need—then look no further than the 2015 Ford F-150. It’s the number one pickup truck for a good reason! The 2015 Ford F-150 is entirely redesigned with the extensive use of lightweight aluminum and the addition of even more advanced technology. 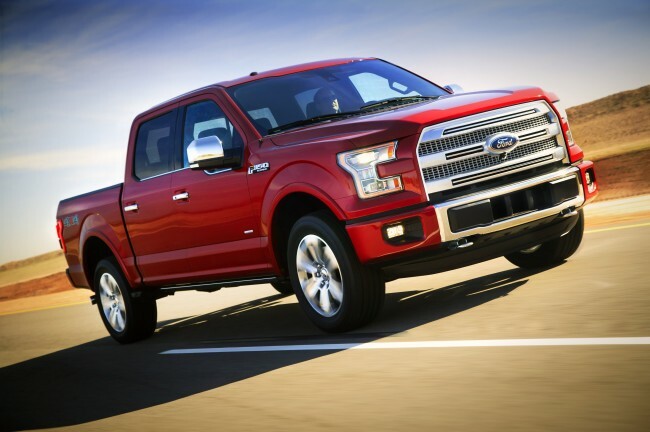 There are few pickup trucks in the industry that can look as traditional as the 2015 Ford F-150. Masculine lines, an aggressive front fascia, and intimidating stance make this pickup an attractive choice for any truck lover, hinting at its capabilities while still staying stylish. Distinctive headlights and 17-inch steel wheels add a touch of sophistication to the popular pickup, though, softening its rugged silhouette. As you might expect from Ford, the F-150’s power is unbeatable four-engine lineup. 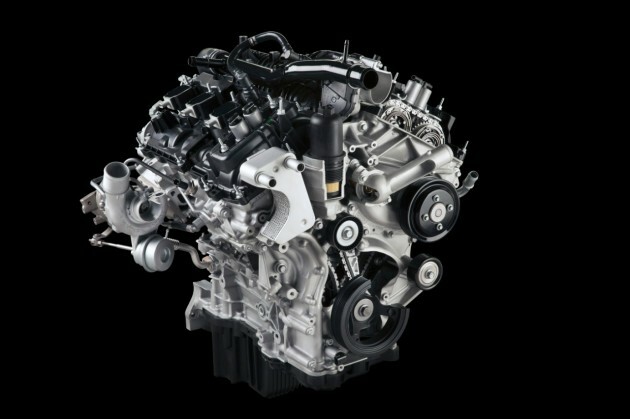 The standard base engine is a 3.5-liter V6 that generates 283 horsepower and 255 lb-ft of torque. If you want something a bit beefier, an available turbocharged EcoBoost 2.7-liter V6 produces a generous 325 hp and 375 lb-ft of torque. For those looking for more muscle, the 5.0-liter V8 is the engine of choice, churning out 385 hp and 387 lb-ft of torque. Finally, a turbocharged EcoBoost 3.5-liter V6 rounds out the group, pumping out an impressive 365 hp and 420 lb-ft of torque. 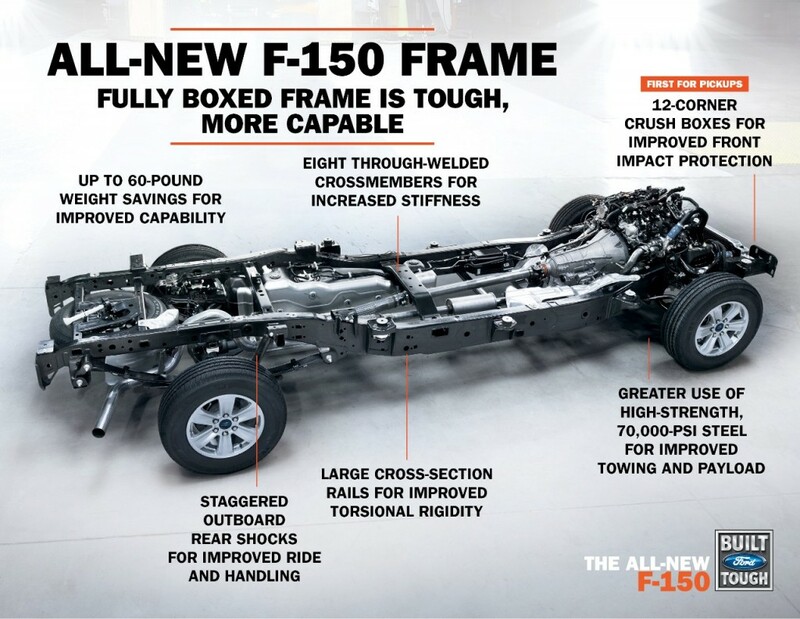 Thanks to its all-new aluminum body, the 2015 Ford F-150 efficiency is better than ever before. The standard 3.5-liter V6 has an EPA-estimated 20 mpg combined for two-wheel-drive models, while the four-wheel drive drops it to a 19 mpg combined. The smaller 2.7-liter turbocharged EcoBoost yields an impressive 22 combined for the 2WD and 20 combined for the 4WD. Fuel efficiency for the beefier models reflects the increase in power. The 5.0-liter V8 gets a combined rating of 18 mpg for the two-wheel-drive models, while the four-wheel drive models have a 17 mpg combined rating. The turbocharged 3.5-liter EcoBoost offers a combined 20 mpg with two-wheel drive and 19 combined for the four-wheel models. 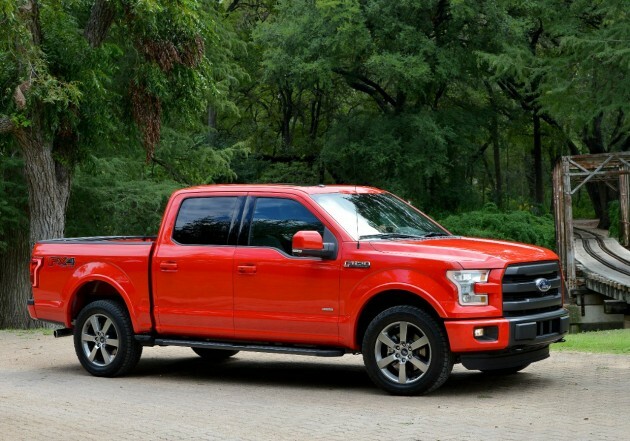 While the 2015 Ford F-150 might look like a workhorse on the outside, inside it’s pure luxury. While consumers who want a barebones pickup can always choose the XL models, the F-150 offers more luxury the farther up you go the trim level tree. A classic design combines with high-quality materials to offer comfort normally seen in premium sedans. An available 8-inch productivity screen keeps the driver aware of the truck’s vitals, while the center stack control layout makes usage easier than ever before. The front seats are comfortable, offering a commanding view—consumers even have the option of a 10-way power-adjustable seat with built-in heating and ventilation. In the back, passengers have enough legroom to stretch out a bit, especially since the cabin is two inches wider in the 2015 model. The popular Ford pickup truck was recently awarded a five-star overall safety rating from the National Highway Traffic Safety Administration (NHTSA). Standard safety features for the 2015 Ford F-150 include antilock disc brakes, stability and traction control, front-seat side impact airbags, full-length side-curtain airbags, and trailer sway control. 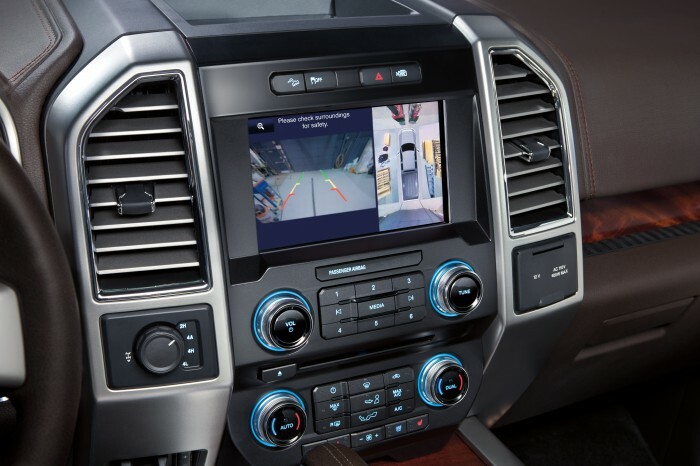 The pickup truck also has innovative safety technologies, such as the available single rearview and 360-degree multi-view cameras. Forward collision preparation, lane departure warning, and blind-spot monitory are also offered as an option.